Higher Education – RUSA, NIRF, HEFA, etc. Through ITM 2018, India can showcase its hidden destinations to the world, especially to emerging tourism markets like China, Latin America, and Japan etc. Mains level: Debate over MPs/MLAs practising as advocates. 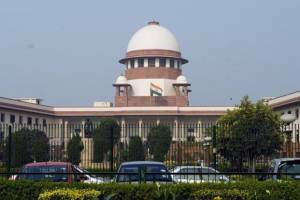 The Supreme Court on Monday reserved its verdict on a plea seeking a ban on members of Parliament and legislative assemblies practising as advocates. The attorney general of India, K.K. Venugopal, argued that such a prohibition did not exist in law and there was no ‘full time’ ‘employment’ between a government and MPs/MLAs. However, he added, that such a ban was present in case of a minister. The Bar Council of India had, on a previous occasion, informed the court that they were not opposed to legislators practicing law. The plea alleges that MPs/MLAs practising as advocates pose a “conflict of interest” under the provisions of the Advocates Act, 1961, and the Bar Council of India Rules. The dual role would also amount to professional misconduct when MPs and MLAs, who get salary and other benefits from public funds, may appear against the government as lawyers. Another instance would be counsel thinking about their clients’ interests while passing a bill in their capacity as legislators. It was sought that a ban on legislators practising as advocates till the period that they are occupying such positions. Mains level: The newscard highlights very important issues with MSP and its associated beneficiaries. It broadly fails to benefit the marginal farmers, agricultural and urban labourers who are far outnumbered. The common narrative about the hike in minimum support prices (MSPs) for farm produce is that farmers will benefit. Farmers in Punjab and Haryana are different from their brethren in Bihar and West Bengal or the north-east. We have small farmers, marginal farmers, peasants and kulaks and landlords. And its Target beneficiaries are not the needy. Let’s see how. A National Sample Survey Office (NSSO) report that mapped the income, expenditure and indebtedness of agricultural households in India in 2013 provides some clues. For households owning farms of less than 0.4 hectares, who are a 1/3rd of all agricultural households, net receipts from cultivation account for less than 1/6th of income. They will certainly not benefit from higher MSPs as their sole bread and butter is not only cultivation. For those holding between 0.4 and 1 hectare, net receipts from cultivation are around 2/5th of their earnings. This class constitutes another 1/3rd of all farming households. Taken together, farmers owning up to 1 hectare of land constitute 69.4% of total agricultural households. The report finds their monthly consumption expenditure is higher than their earnings from all sources, which means they are chronically in debt. Many rely on moneylenders, rich farmers and landlords to advance them the money needed for cultivation and they are often forced to sell their produce to these financiers at lower than market prices. In short, almost 70% of farming households are unlikely to be beneficiaries of the MSP hike. Those having more than 4 hectares of land, a mere 4.1% of the farming population, get more than three quarters of their net income from cultivation. It is the rural rich, rural India’s ruling class, who pay no income taxes, who gain the maximum benefit from farm loan waivers, who will reap the bonanza from higher MSPs. What Shanta Kumar Committee Report has to say? The revelations of the Shanta Kumar Committee report underscored that fact. It found that a mere 5.8% of agricultural households in India had sold paddy or wheat to any procurement agency. Even these households sold only a part of their total sales, ranging from 14-35% for different crops, at MSP. The upshot of this entire evidence is that the direct benefits of procurement operations in wheat and rice, with which FCI (Food Corporation of India) is primarily entrusted, goes to a minuscule of agricultural households in the country. Obviously then, much of the procurement that government agencies undertake comes from larger farmers, and in a few selected states (Punjab, Haryana, Andhra Pradesh and lately from Madhya Pradesh and Chhattisgarh). Who are the losers from the government’s move? Economists’ estimates of the impact on inflation as a result of higher MSPs vary, but all agree that inflation will go up significantly, particularly if the government steps up its procurement. An IMF working paper said the disinflation in 2014-16 owed much to the government’s rationalization of MSPs. If that is correct, conversely, the sharp rise in MSPs now will fuel inflation. Who loses the most from high inflation? The urban poor will be badly affected, of course, but also agricultural labourers, the most vulnerable class. Agricultural labourers now outnumber cultivators. Further, the marginal farmers may also not produce enough food for their requirements and have to buy from the market. And that’s not even counting the price the economy will have to pay due to higher interest rates, uncompetitive agricultural prices, a bloated fiscal deficit and skewed incentives. That is why it is very likely that only lip service will be paid to the MSP hikes and it will be business as usual. If the objective is alleviation of rural distress, the Telangana government’s programme of income transfers looks far more promising. But in the long run, there is no alternative to creating enough jobs outside agriculture to absorb the disguised unemployment in farming. The proliferation of technology, cheap smartphones, and reasonable data rates has enabled the democratization of online content. The flip side is that the speed of content distribution has made traditional journalistic controls of verification unfeasible. Thus, the unfettered flow of speech has become vulnerable to the boom of unverified information. Recent incidents in India are indicative of potential harm, ranging from political misinformation to a spate of lynching. As the incident of withdrawal of the fake news circular indicates, the free speech implications at hand demand a cautionary approach. A preliminary issue is a difficulty in defining fake news. fabricated pictures in the nature of internet memes. The assessment may involve distinguishing mere poor journalism from deliberate attempts to spread misinformation. Any top-down regulation that defines fake news simply as containing falsehood may be setting itself up for failure. What defines the boundary of a news? It is easy for such regulation to fall into the trap of assuming the existence of a single and verifiable version of the truth. Apart from cases of patent and absolute falsehood, the line between truth and untruth may be difficult to draw. The news is generally a mix of facts and opinions that are not amenable to neat segregation. Pre-censorship of news and information, while being virtually impossible due to the speed of content creation, will also violate the guarantee of free speech under Article 19(1)(a) of the Constitution. On the one hand, such legislation could divest individuals of autonomy. On the other, it could bolster the power of the government to censor opinions it is uncomfortable with. Any screening in the context of social media applications such as WhatsApp could also violate the fundamental right to privacy recognized by the Supreme Court. 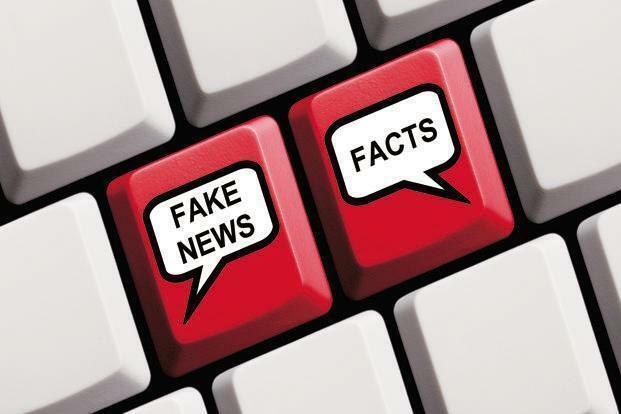 A cautionary approach warrants avoiding overarching regulation in the form of anti-fake news legislation, irrespective of the benignity of its motivations. Entrusting a judge, the state or companies like Facebook with the task of making an evaluation of veracity will facilitate judicial, government or private censorship. This can breed a chilling effect and self-censorship. Implementation of the above three prongs will not only be a sustainable response to the fake news but will also strike the necessary balance with free speech considerations. To ensure critical media literacy, with critical digital literacy as a component. This would focus on encouraging individuals to learn the skills required to navigate the internet and question the content they are exposed to. Users should understand the limitations of digital media. Full Fact and Facebook’s toolkit offer useful suggestions about this. Design changes to social media platforms that flag content can also be incorporated. Good practices, such as verifying the source of the news and corroboration with related news, ought to be advanced in schools and through public education campaigns. The role of the district administration and local community leaders is key in this regard. Heartening examples such as the Satyameva Jayate programme in Kannur schools and initiatives by the superintendent of police in Gadwal demonstrate the potential of such an approach. In a limited set of situations, such as when there is threat to life or national security, targeted and proportionate legal interventions can be explored. They should account for existing speech offences to avoid overlap. Despite their own flaws, existing provisions on hate speech, sedition and defamation already deal with certain kinds of harm that may be substantially similar to those posed by fake news. Human Resource Development Minister to inaugurate the 17th World Sanskrit Conference to be held at Vancouver, Canada from 9th July to 13th July 2018. To promote, preserve and practice the Sanskrit language all over the world by the people. The World Sanskrit Conference is being held in various countries across the globe once in every three years and so far it has been held thrice in India. The Delhi International Sanskrit Conference of 1972 is considered to be the first World Sanskrit Conference. This year more than 500 scholars and delegates from over 40 countries will be participating and exchange their knowledge by presenting papers on various subjects followed by discussions from amongst the members. Mains Paper 3: Economy | Infrastructure: Energy, Ports, Roads, Airports, Railways, etc. Mains level: Making Railway freight transport profitable. In order to capture the lost traffic through new delivery model for domestic cargo, Indian Railways has introduced Double Stack Dwarf Container Services. This freight train was flagged off from Western Railway’s Rajkot railway station on its maiden commercial run. The Double Stacked Container is 6 ft 4 inches in height and can run on electrified tracks. In comparison with regular containers, these containers are 662 mm short but 162 mm wider. Presently, due to its height, the regular double stack ISO containers can run only on few chosen routes on Indian Railways but these short-heighted Double Containers can run on most tracks very easily. These containers in double stack formation can run under 25kV overhead lines. The dwarf containers can hold a volume of approximately 67% more when compared to traditional containers. Despite being smaller in size, the dwarf containers can hold a capacity of 30,500 kgs. With the use of these double-stack dwarf containers, the cost of the unit will be significantly reduced due to the rail transport being cheaper than the road. Currently, ‘ Low-Density Products’, such as plastic granules, PVC polyester fabric, white goods, FMCG products, polyethene, auto car, etc. are being transported mostly by road. But due to the low cost of transportation in dwarf containers, Railways now offers a viable transport. At the general freight rate, the double-stack dwarf container trains can generate more than 50% of the revenue.